Bill C. Merrell, Ph.D. is proud to receive credit for his assistance in the Professional Home Inspection Manual, written by Marcia Spada. Bill Merrell's name is listed in the manual and she is proud to be affiliated with the author and the publisher. Bill C. Merrell and Joe Garcia are the Professors of record of Modules 1, 2, 3, and 4. With Licensed Training ~ Start A Career in Home Inspection- You could Average $ 76,000 Annually!" This is not Bill Merrell's opinion, but rather ASHI's opinion for Full-Time Go Getters- Annual Statistics! Call us for Information and to will get the Education You Need!" WE WERE AND ARE THE FIRST APPROVED HOME INSPECTION SCHOOL ON LONG ISLAND ! We are proud of our Graduates ! Need Flexibility? Call Bill C. Merrell, Ph.D. and together, we can WORK to meet your needs and make sure you meet the NYS state guidelines. This means if you miss a minor amount of time, we can allow you to make it up, if approved in advance with the school director, Bill C. Merrell ! If you need additional time to make a payment, make arrangements with Bill Merrell. We wish to work with you, and we want you to be a successful inspector ! Cooperation and working together is a two way street. We expect our students to be willing and ready to learn and be respectful, and we, as a School, in this industry will do what we can to help you to succeed in this industry. 90% attendance is required in Module 1, 2, 3 and 4. If you exceed the absence requirement, you must make up the time under the direction of the school administrator, senior professor, which may include attending the next Module 1, 2, 3, 4 program. All students are expected to be respectful at all times. Next Program begins Program May-June tbd! Modules 1, 2, 3 and 4 are $ 495.00 per class plus a $ 400.00 Charge for materials, books and handouts- We Discount the Class Cost Significantly When You Attend All 4 or 5 Modules With Us. 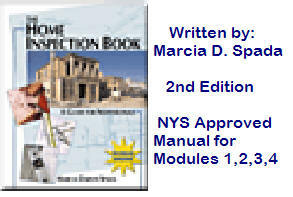 IN SCHOOL PROGRAM: "LONG ISLAND, BOHEMIA, NY PROGRAM"
Become a N.Y. State Licensed Home Inspector in a few short months! Call 631-563-7720- All that is needed to get started is a $ 400.00 Deposit to reserve your space for this Enriching and Enjoyable Experience. Module 5 Program is presented over 10 SESSIONS on weekends (Saturdays and/or Sundays) 8am-5pm meeting the 40 hour inspection requirement. Your time, writing the report is in addition to the 40 hours for Module 5. We arrange Module 5 class an Saturday and/or Sunday - giving you the 40 hours required in 3-4 weeks on average. Module 5 is 40 hours. Our only concern is weather and the safety of our students. 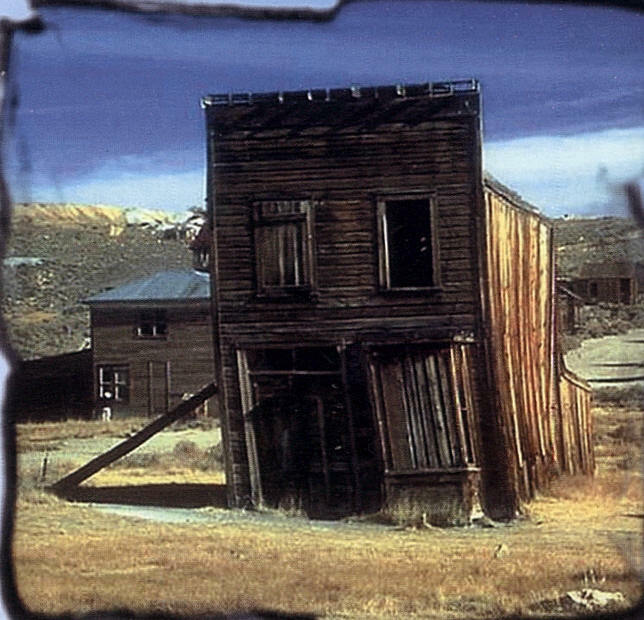 If a house is not available or the home become unavailable, there may be a delay. Each student must take personal responsibility for their attempt to offer us a home to inspect so we can make a schedule quickly and finish it quickly as well. Once complete you do not have to work for a company- you can, if you wish, or you can open your own company. We ask each student to offer 1-2 homes (A MINIMUM OF 1-2 HOMES IS REQUESTED AS PART OF THE PROGRAM!) to allow us to inspect EACH HOME as part of Module 5. Please attempt 2 homes- 1 home is mandatory as per program rules. Module 5 to begins within several weeks after Module 4's conclusion We ask the students the best weekend dates for Module 5- If we plan it properly, we can get your license filed within 2-3 months weather permitted ! Complete Modules 1 through 4 and Module 5 is Tentatively scheduled to begin, after Module 4 is concluded. MODULES 1, 2, 3, & 4 : $ 1,250.00- Save Thousands between our discounts, our offerings, & our included items with Modules 1-5 ! MODULES 1, 2, 3, 4 & 5: $ 1,995.00- Save Thousands- over $ 2,000 in savings ! You will be Inspecting 10 homes for Module 5 to receive your Module 5 Certificate! No separate Final Exam! The Inspections are the Final Exam in Module 5. FOLLOW OUR PROGRAM. THIS WILL ALLOW YOU TO FILE FOR YOUR LICENSE APPLICATION ASAP ! Become a Home Inspector and then consider Mold Inspecting. 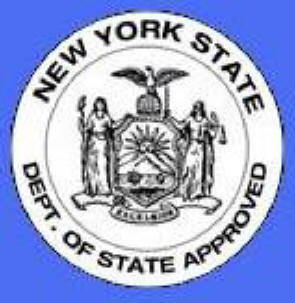 The New York State Test is required for licensure, as is General Liability Insurance. We can help you pass and get Insurance. NYS mandates Licensing for Home Inspectors which includes 100 Hour of classroom education, & 40 hours of field inspections/report writing assignments. We Are THE FIRST APPROVED HOME INSPECTION SCHOOL on Long Island. We are proud of the high success rate of graduates. Our Graduates follow our program to become NYS Licensed Home Inspectors. You can do it ! "90% attendance is mandatory for Modules 1, 2, 3 & 4" "100% attendance is mandatory for Module 5"
SPECIAL PRICE FOR MODULES 1,2,3 and 4: $ 1,250 SAVES YOU THOUSANDS! WITH EVERYTHING WE PROVIDE! PROVIDED YOU ATTEND THE ENTIRE PROGRAM FROM MODULES 1, 2, 3, 4 & 5. 140 HOURS TO SUCCESS! Test Starts at 9:30am- It is recommended you are there by 8:45am-LIMITED SEATING ! YOU SHOULD TAKE THIS NYS TEST after you finish Module 4 ! We want all Module 5 students to agree to the dates for the Module 5 classes- All students are to offer classmates a minimum of 1 home to inspect- which will allow us to finish Module 5 quickly and Efficiency. There is an extra charge for those students unable/unwilling to offer a home to allow us to complete the inspections in a timely manner. Speak with the owner Bill Merrell if you have any problems with this. And to discuss the additional cost for same. 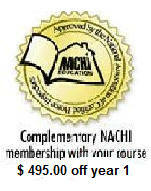 Regular Module 5 "40 hour" tuition is $1495.00; Our Module 5 Discount Price is $ 745.00. Save $ 750 in Module 5 alone! We keep the Module 5 class size small and complete Module 5 in days over 3 to 4 weekends and/Mon. eves. We coordinate the 40 hours with our students to make sure you meet the Module 5 Requirements. MODULES 1, 2, 3, 4 & 5 is NOW $ 1,995.00 Complete, SAVES YOU THOUSANDS OF DOLLARS! We request each registrant to help us get homes to inspect for Module 5 purposes. This helps make the Program work efficiently! If you can't, we then ask Investors to help us with homes for Module 5- We offer Module 5 as a program after Modules 1, 2, 3, & 4, after the student elects to take the NYS exam. We even allow you to make payment arrangements at no interest. We care about our students and we want to help you succeed. Save $$ Thousands $$ in Memberships, Web Listings, Books & Digital Materials Included in our Program FREE! Why pay more at a school that needs to charge more to pay for hotel seminar rooms, etc.? Why Take Classes at a School known to be JUST A Real Estate School? You Get What You Pay For!!! Many schools are known for their turning a blind eye to actual learning. We don't do that. We teach you to be successful. If you follow what we say, expect to learn what you need to master the materials of Home Inspecting! We are approved by NYS, Dept. of State, Division of Licensing Services as an a "Approved School"
Same Location, for 3 Decades to Date- Bill Merrell has been teaching since the 1970's! 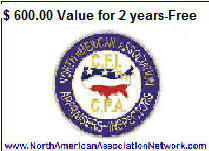 We are also Nationally Accredited by Multiple National Organizations. If you attend our school, remember to listen to what you need to learn and do not bring baggage from Specialties. We teach you what you need to leave our class and begin a Career as a Home Inspector in NYS! We need you to think like a Generalist- Remember the 3 S's- Safety, Security and Saleability! Do you wish to register for the NYS Approved Home Inspection Program!? If you are asked to leave the program for disciplinary reasons, you are not entitled a refund for the classes you attended. We may charge additional for the Books you Received and Signed for in Module 1 if you do not finish the entire program. The Discount applies to the last class attended and/or scheduled. You do not need a lot of tools to begin your career. Here’s what you need: A Camera, A outlet tester, A Flashlight, a Laptop or computer and a computer program (which we give you the program as part of the class in the form of a printable PDF File. You should also know how to type in word in order to write about what you have seen while you inspected the home) The written portion of each report is referred to as an addendum. Again a word program will be all you need to write the report to completion. If you know how to write emails, you should be able to write paragraphs in an Inspection Report. Further, we request you use a measuring tool, either a tape measure or even a rolling ruler. The cost of tools is well under $ 200.00, not counting the camera. Many people already have a working camera in which they can take photos of items throughout the home to show any repairs which are required. Paying for each class at a time is more expensive than paying the pre-paid price. If you pay a $ 400.00 down payment when you enroll in this program, and agree to pay each week, we will allow you to pay in installments as long as you are paid up (on or about) by Module 5. Speak with Bill Merrell, the owner and we will discuss an agreed upon payment plan to meet your financial requirements. In NYS a High School Diploma is the only requirement to become a Home Inspector. College is always a plus but not a requirement to obtain your license in New York State. You also do not need to be a plumber, carpenter, or tradesperson to enter this field. Many people with little or no knowledge of building technology have made a decent career as a Home Inspector. You must simply listen to the Instructor, study the lesson plans and memorize the words as they are discussed in the course. WE BELIEVE IN OUR STUDENTS AND WE WANT OUR STUDENTS TO BELIEVE IN US!!! Need a NYS Application, We provide it as part of the class, or you can call NYS at 518-474-4429 to have it mailed to you. All our extras only apply if you attend the entire program -All 140 Hours is needed to benefit from all the extras! Program/Modules are NYS, Dept. of State approved! We are committed to the success of the Licensing Education program for Home Inspectors! 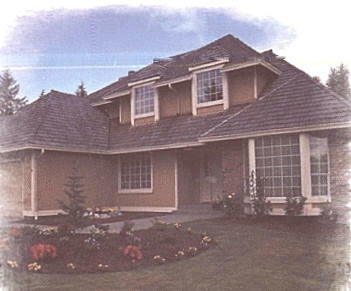 Our programs are also approved by multiple Home Inspection organizations. Dr. Merrell is a participating member of ASTM International to assist in the development of Uniform Standards for Home Inspectors Nationwide. Additionally, Bill is a member of INTERNACHI's Education Committee and he serves as the National Education Chair for the Housing Inspection Foundation. You must possess a High School Diploma, GED or it's equivalent. There are On-line High School Programs available for Mature Adults who want their High School Diploma. The web site, found via Google is as follows: http://www.jeffersonhighschoolonline.com/index.asp or http://www.ehsonlinehighschool.org/ . You can also prep for the GED Exam through the following web site at: http://www.instantcert.com/gedhome.html Much Luck and success in your career. WANT MORE INFORMATION ABOUT A CAREER IN HOME INSPECTION, Click Here ! NYS approved our entire 140 hour program-Click here to sign up! Many people come to us and they have never seen a home inspection performed. Crawling under homes may not be your idea of a fun day. Also, this business requires good people skills and the ability to sell yourself. Decide the structure of your business; corporation, partnership, etc. with the help of a good small business accountant and attorney. Develop a relationship with your bank. Set-up good business practices early. How many homes are sold in the area you will be serving? How many of those homes get inspected? How many other inspectors are in that area? What are the fees charged by your competition? Who are your potential clients?. Whether you have never been in business for yourself or are a seasoned veteran, the importance of a business plan is critical for success. By answering all the questions addressed in a working business plan you will create a road map for success. Too many companies simply copy the marketing messages of the competition. To get people to switch to your service you need to give them a fantastic reason to change. Do not sell your service simply based on price. Many standard market positions exist, such as, innovation, speed, experience, quality, etc. Make sure your chosen position fits your personality. The inspection report can be your biggest marketing tool and your largest expense. A wide variety of reporting methods are available today. Computers can assist you in report creation but can be a large up front expense. 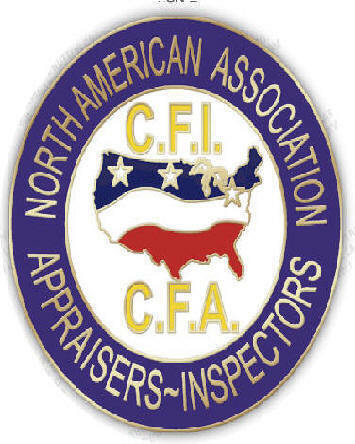 When considering the cost of your inspection report remember to factor in the time you or an assistant will spend behind the computer into the costs. Typical narrative reports cost between $5 and $60 to produce. On-site forms make delivery of your report when you complete the inspection easy. If you are computer phobic these on-site reporting forms may be the answer. Many inspectors select internet inspection products. others use checklists. From the outside looking in, home inspection may appear to be an easy job. Well it's not! Understanding all the systems in a home and having the ability to recognize the red flags is an extremely complex task. The liability of inspecting a home without proper knowledge and training is tremendous. Choose your training with care. Compare the opportunities carefully. Not all are equal. Look for courses given at NY State licensed schools. Ask how long the course is and what materials are included. What is the cost of the program? What are the credentials of the instructors and the school? Will you be allowed to upgrade your training or return for additional training at discount prices? If you have never been in business before, then you might need additional training in specialized areas such as business management, accounting or public speaking. Remember that the better you prepare yourself for success the more likely success will come to you. We offer free Small Business Administration courses to help you here as well. Go to www.merrellinstitute.com then click on the Yellowpages box, then on Small Business Administration Courses. They are Free and we are pleased to make them available to you. But Some Things Are Not! You need to know what level of repair a home is needed. Are You Ready for Success or Failure? Are You Ready To Become Licensed? call 631-563-7720 Don't Wait! Sign Up NOW!